When setting up an eCommerce website, one of your most pronounced fears is shopping cart abandonment. What if your customers move products into their cart and then leave it there? This event is quite a possibility, and most eCommerce sellers face this problem. 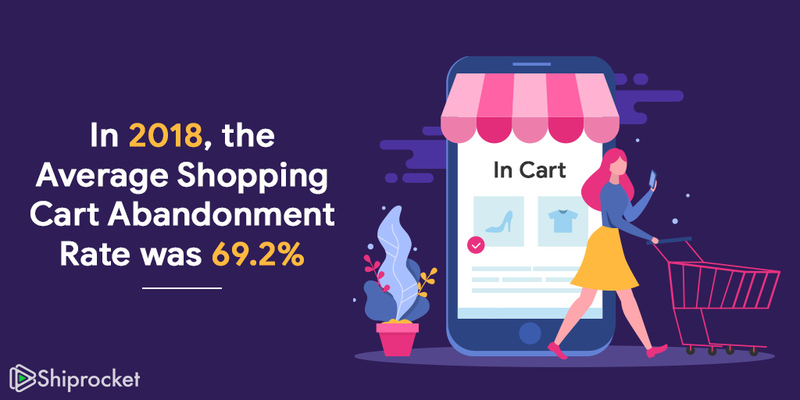 In 2018, the average shopping cart abandonment rate was 69.2%! Even though it may seem like a dead end, there are many ways you can optimize your website to reduce this phenomenon. Here are some practical and proven methods to help you beat the cart abandonment blues. Jump further to know how. Before we begin with the tricks, it is essential to understand what exactly we are dealing with. 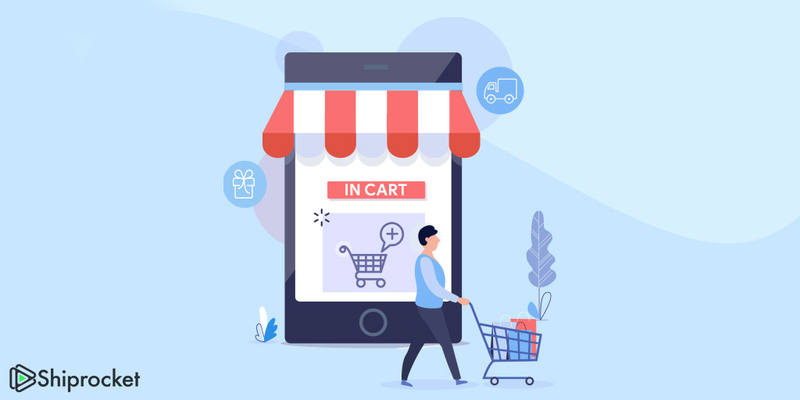 Cart abandonment refers to the process when a potential customer browses your website, adds products to their cart and leaves without making a purchase. This phenomenon is similar to when you select and try on clothes from an apparel shop but eventually decide to come and purchase it later or not at all. 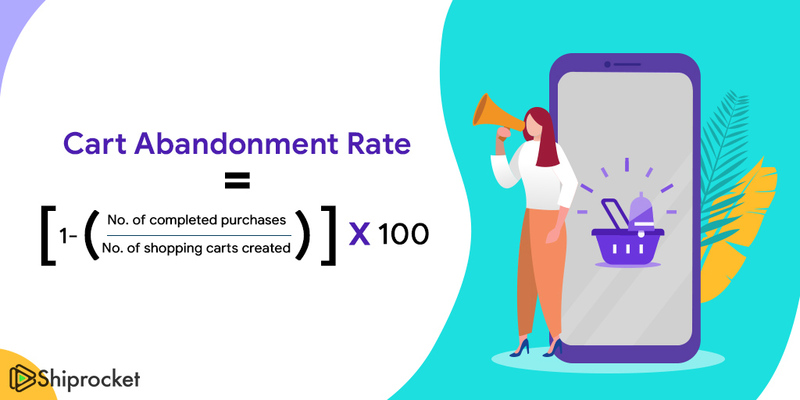 The cart abandonment rate depicts how many of the items that are added to the shopping cart are abandoned. Cart Abandonment determines the success of your purchase and gives you an idea of the potential revenue you can make by going through with specific optimization. More than 65% of retailers have cart abandonment rates higher than 50%. It is a significant issue wherein you have a chance to maximize profits, but instead, you are stuck with unachieved targets and lost revenues. With a final cart abandonment rate, you can assess your sales and accordingly bring about changes in your website. 1) Additional costs during checkout like shipping, taxes, handling fees, etc. These are some flaws in your website which when rectified can simplify your buyer’s journey to prompt him to not leave the site without making a purchase. How To Reduce Cart Abandonment? A smart way to entice customers is by providing free shipping. Free shipping works every time as users feel they are saving on their overall costs. 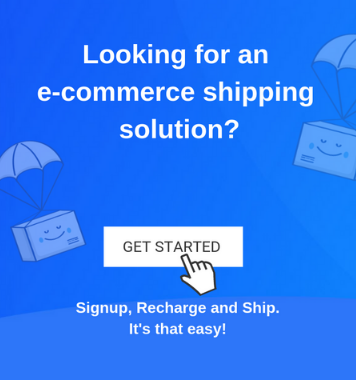 Try tying up with courier partners or install shipping software which doesn’t charge massive shipping costs. If you can’t afford to offer free shipping, opt for setting a minimum cart value over which you provide free shipping. Based on demographics, you also have the option to offer flat rate shipping, provided your carrier can do so! Who doesn’t like options when shopping? Provided you are shipping to a large number of people, why not give them delivery slots like Amazon? To avoid losing out on buyers who abandon the cart due to shipping time, provide them with an option of faster delivery. On the contrary, you can save on costs by offering a slightly later delivery option to people whose requirement isn’t urgent. You may allocate your shipping fees accordingly and give more options to your buyer. When you display product costs on your website, include all taxes and shipping fees within the posted cost. If you can provide a discount on this cost during check out, it will have a positive effect on the consumer’s mind as compared to an increase in the value during checkout. But don’t add any costs during check out as it can lead to an automatic change in decisions and has a higher chance of cart abandonment. Keep your descriptions prim and proper and try and stick with realistic images. Your descriptions must have all critical details, handling, usage, and include other essential instructions and also all the costs. The photos have to be clear and should be as real as can be. These instill trust in the minds of the users and give them the satisfaction of assessing the product well. When your user has added products to his cart, make sure the road after that has no bumps. Ask him to fill in his shipping details and directly proceed to payment. Don’t make the mistake of asking any more information than you genuinely need. This action kills the enthusiasm, and the user is tempted to leave the process midway. Also, don’t ask them to sign up right after they plan to check out as it increases the length of the process. Use creative pop-ups to connect with the customer right before he exits the page and holds his attention right there. A cart abandonment pop up can increase the chances of purchasing the product by 10%. Thus, make sure you keep the content concise and direct. The pop up must stand out and not look too persuasive. In the end, make sure you give the user an option to decline the offer you make. If your user has zeroed down any product, make sure the image of that product is always visible throughout the check out process. An image stays in mind longer than text and registers well with the user. Don’t make it necessary for a first time user to make a purchase only after he makes an account. Allow him to make the purchase using a guest account and then prompt them to register. This way their journey is uncomplicated and their experience are delightful. If you keep poking them to create an account first, it is bound to drive them away. Even though your return policies may not be the most conducive, they should be there. It reduces the anxiety or doubts the customer may have. Once he is presented with all the information, his experience is simplified and thorough. Do not curb your payment options. It is a significant reason for customers to leave your site. If a person wants to purchase a product and an online wallet is the only option he has, he will move on to another site and probably never return to yours if you don’t have it. Thus, add as many payment options as you can as people can be using any. Make sure your customer support is always equipped to assist. Try and employ a customer support software which has options like live chat, help docs, ticket generation, etc. 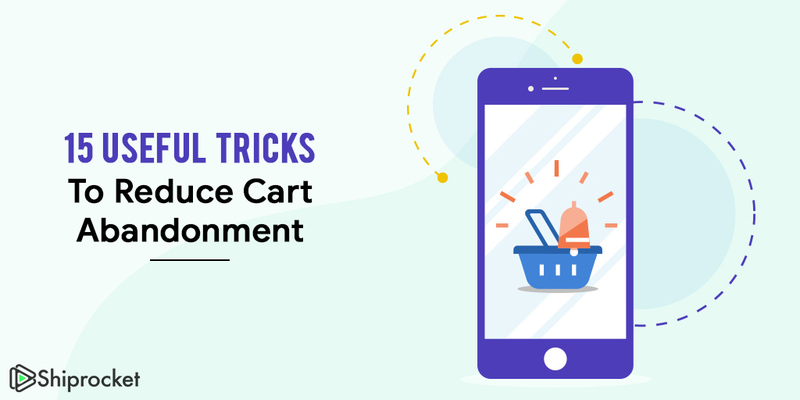 This helps your customer reach out to you, and once you can assist them correctly, you reduce the chances of cart abandonment by a large margin. Customer support can convert an upset customer into a loyal one. For customers who already purchase regularly from your site, you must further simplify their process. You can enable a one-click check out for them wherein you process their payment from saved option rather than making them go through the address selection and payment processing. This saves time and optimizes your check out process. Your CTAs must be prominent, and they must drive the user to take action. Conduct a thorough check and try A/B testing to determine which CTA works best for your business. Try to analyze user journeys to understand which points on a website are not easy to navigate. Make sure you fix these and provide a seamless experience to your buyer. Cart abandonment follow-up e-mails are most important. They are the fastest way to reach out to customers who might have just left your cart. It is a personalized way of reaching out to them and can be customized according to your needs. Therefore, be creative in your approach and make sure you address their issues correctly. You can opt for setting up autoresponders to target the users right after they abandon their carts. Half of all cart abandonment e-mails are opened, and a third of all lead to a purchase. Make sure you complete this step. Last but not least, conduct audits. Review your website regularly to make sure your process is seamless, all pages load fast, the links and images aren’t broken, and the site is functioning correctly. A quick overview at regular intervals can be fruitful for the website in the long run and can help keep your cart abandonment rate low. Application of these methods can help you decrease your cart abandonment rate, increase profits and retain maximum customers. Make sure you work on them regularly to make sure they are viable and benefit your eCommerce website positively. Sure we will help you with this. Please drop an email to support@shiprocket.in.